Take the picture to the hairdressers with you. Also, pick a good hairdressers, not a cheap old-school place, you want to go for a trendy salon. This hairstyle is fantastic! 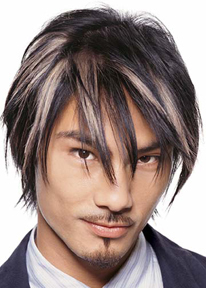 How would i grow my hair like this, how long i mean? And what would i need to tell the hairstyler?